Hence, im advising everyone else... to protect your copyrights! - If you hate copycat, please ensure that we dont do that either!!! - Always credit your sources!!! 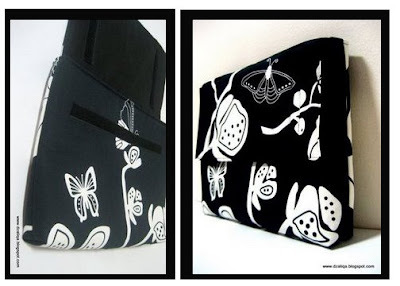 A cool Lap Top sleeve made by Dzaliqa! I want one too!!! heheh. Visit here for more!